Upon the death of Charles Edward Repington in 1837, the Amington Manor passed to his cousin, Edward Henry a Court, who assumed the name of Repington in accordance with the will, by royal license Sept. 1847. Following Edward's death in 1855 he was succeeded in 1855 he was then subsequently succeeded by his brother Charles Ashe à Court, who also assumed the Repington name. Edward Henry à Court was born in Heytesbury, Wiltshire 10/12/1783. Edward died 22/09/1855 in Warwickshire, at 71 years of age. He married an unknown person 14/10/1823. He was christened in Heytesbury, Wiltshire, 12/09/1784. Edward was promoted on 13/02/1804 to Lieutenant. Edward was promoted on 10/06/1808 to Commander. Edward was promoted to 29/03/1811 to Captain. He was listed as a visitor in the census report in Heytesbury House, Heytesbury, Wiltshire, 1851. Sponsors: Mrs. Spooner. Mrs. Eyre. Mr. Portman. 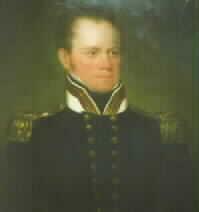 Appointed Admiral on 14/09/1847. In the same year assumed the name Repington in accordance of the wishes of his cousin Charles Edward Repington.